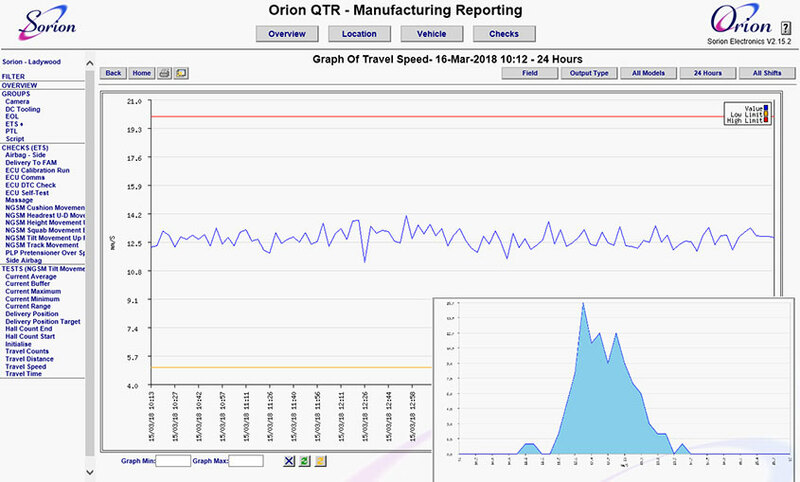 Orion™ QTR (Quality & Traceability Reporting) is a powerful data storage and reporting system specifically designed for deployment within the automotive and manufacturing industries. The system collects traceable shop floor data into a single, accessible database and providing tools that allow all decision-makers and problem-solvers in the organisation to access it – from the executive office to the plant floor. 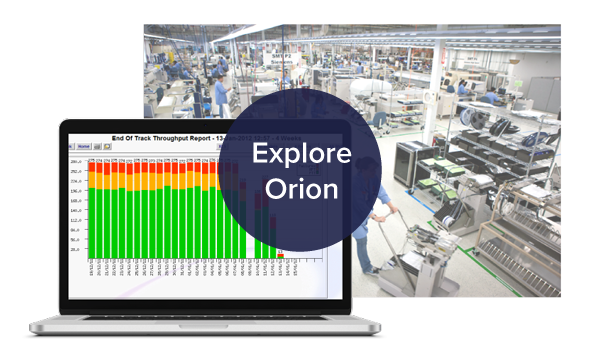 Orion captures data from a variety of sources in a manufacturing environment, including items such as station, shift, time, build no., component serial numbers, test systems, tool controllers, measured values and visual inspection data. This data is identified against a unique ID (often VIN) along with time and location and stored within the database. 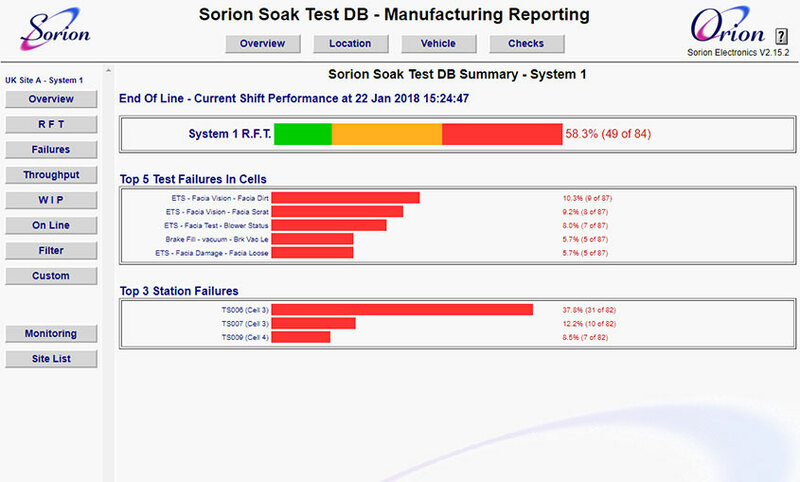 All of the data collected by Orion™ is stored in a MS SQL database held on a central server. To ensure the robustness of the system, a separate process handles communications with the shop floor stations via HTTP XML transport providing transaction logging and good firewall performance. The database schema is based on many years’ experience in the manufacturing arena and is optimised for efficient storage with rapid indexing and presentation of data. 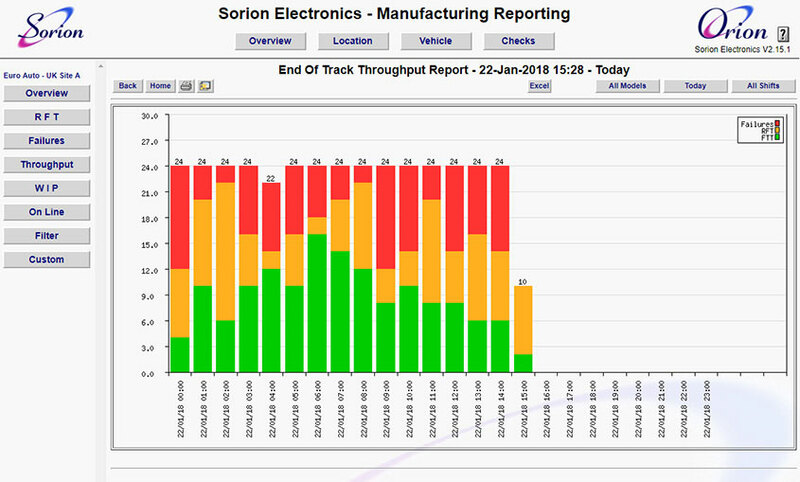 The results analysis and reporting functions of Orion™ allow location and assembly based views of the stored data. The system shows latest and all results for a specific assembly, the most common failures by station / zone and provides parameter access to examine the historic trend of value data (e.g. DC tooling fastening torque). All reports are presented within web pages and make extensive use of user friendly context sensitive menus. Fully hyper-linking from specific results provides an easy drill-down process to allow rapid access to the reports. A wide variety of standard reports allows evaluation of the process on a machine / track area basis. These reports allow recovery of a complete history of the finished assembly or real-time monitoring of current failures. Custom reports may be created (or output to Excel) to deliver specific data analysis requirements. Traceability – the primary aim is to provide traceability of all processes on product assemblies. This data is used to guide the rectification processes, to allow buy off of assemblies and to provide short-term traceability history and manufacturing performance statistics. 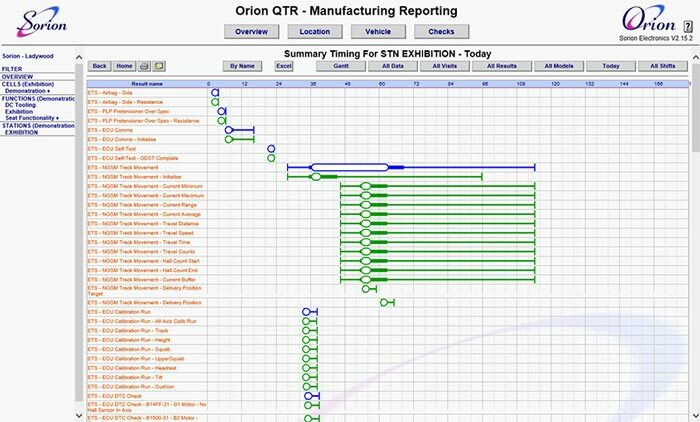 Analysis – standard reports provide an insight into the performance of your manufacturing process. Whether it is Throughput, Right-First-Time or trends on a specific parameter, the data is always available and up to date. Access –user access to monitoring and reporting systems is via secure web interfaces, enabling users from all parts of the company to access the system. Integration – providing a central repository for the storage of all critical data, and allowing this to be used by other company systems to improve quality and assist in seamless manufacturing. Data management – providing services for distribution and storage of data associated with the system including archive. Support – allowing a centralised view of the whole system’s current and past performance. If you would like a quote for your project, please give as much information as you can and we will get back to you.